This is a photo I took over three years ago but thought I'd show it again. 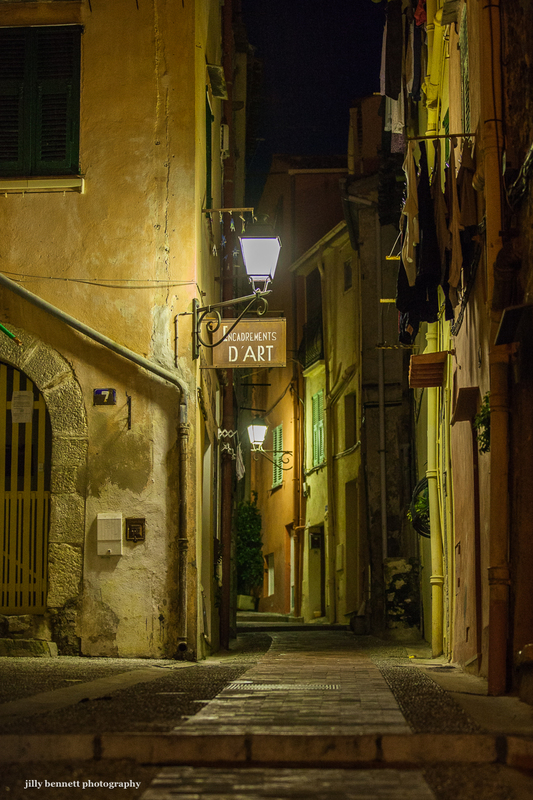 The colours of Menton - by day or night - are always entrancing. Voici une photo que j'ai prise il y a plus de trois ans, mais j'ai pensé que je pouvais la montrer encore. Les couleurs de Menton - de jour ou de nuit - sont toujours enchanteresses. Quite a shot! Very enticing. This could be so many towns in France or, but for the language of the sign, Italy. It has a great quiet charm. What a beautiful view. I love the light.